For retailers, selling a product and having it instantly replenished would be a dream come true. Many of the nation’s largest retailers are trying to make this dream a reality by shrinking their time-to-delivery windows; that is, shipping less stuff more often. Improved analytics help to make this possible, directing the shipping of items to stores just before those products are needed on the shelves. With this shortened delivery window, however, comes consequences that retailers may not have anticipated. By shipping less product more frequently, retail suppliers, and the 3PLs and carriers that serve them, will not typically have enough time to fill a full truck and still meet the delivery window. This results in more LTL shipments and more trucks on the road and, therefore, more traffic/congestion, higher fuel consumption, and greater emissions. As more product is in – or on the way to – stores, less product is sitting in a retailer’s warehouse. This is a very good thing for retailers as the closer an item is to the store shelf, the closer it is to being sold and generating revenue. Conversely, items sitting in a warehouse cost money in the form of storage costs and inventory carrying costs, among other expenses. So, retailers want to receive smaller shipments more often. That pushes inventory back upstream to suppliers and creates freight inefficiencies. When a large retailer steps up its delivery demands with suppliers, those suppliers have little choice but to comply. These days, what had been a 48-hour window between the retailer’s order and when the load is due is now only a 24-hour notice. Where once the supplier or its 3PL might wait to fill a full truck, either with one supplier’s goods or combining freight from multiple suppliers going to the same retailer, today that’s not an option. This requires shifting to more costly LTL shipments. It also undermines green shipping objectives since more trucks are required to deliver the same volume of goods. Large retailers have been among the most vocal and active proponents of green shipping (aka “green freight” or “green trucking”) initiatives to reduce the environmental impact of trucking and other transportation logistics elements. But, with their efforts to minimize inventory, they create freight inefficiencies upstream. 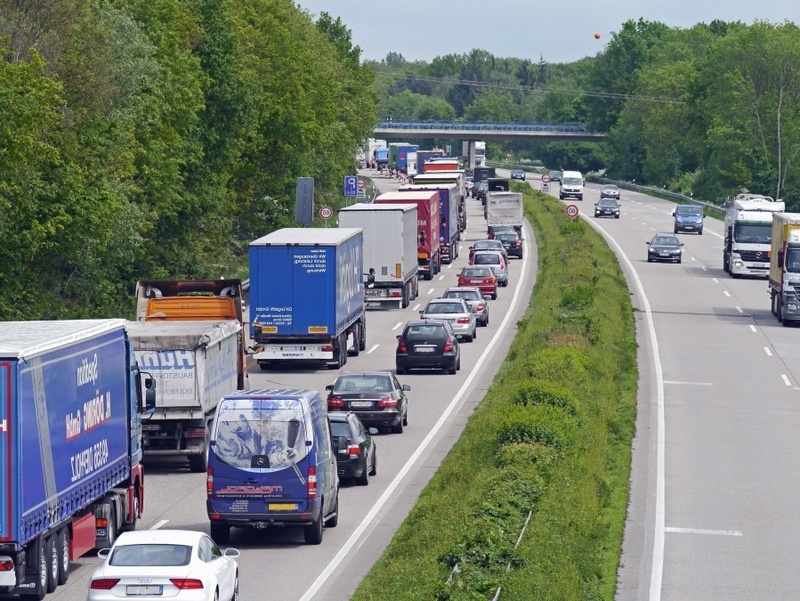 According the Green Freight Handbook from the Environmental Defense Fund (EDF), one key way that retail suppliers can reduce emissions and improve sustainability is through load consolidation (aka “collaborative distribution”). With this method, carriers consolidate shipments from different suppliers – all going to the same retailer – into one full truckload instead of several LTL shipments. By reducing the time-to-delivery window, however, large retailers are severely impacting the ability of load consolidation to occur. LTL shipments therefore become the norm once again – at a tremendous cost in terms of emissions and fuel consumption. It is, in essence, a domino effect that retailers may not be fully aware of. As a supplier, you no longer have the freedom to wait until you have a full truckload to get your product in motion. If you want to create economies of scale while adhering to green logistics initiatives, your best – and possibly only – option is to combine your ‘stuff’ with other suppliers’ stuff. How do you do that? By working with a 3PL who specializes in retail logistics, like KANE, that serves many consumer product companies who share the same retail customers. This enables consolidation of freight, even with short shipment windows. This approach requires that suppliers embrace the POWER OF WE. Historically, supplier-to-retail supply chains have been very “me-centric,” with tens of thousands of parallel lines of supply moving to the same retail destinations. Given the current pressure from retailers, that’s no longer an option if suppliers want to control costs and embrace green shipping practices. The future demands a common logistics infrastructure for retail distribution, where suppliers cooperate to share the cost of warehousing and transportation to common customers. 3PLs are in a prime position to operate that common infrastructure.